Waiting around for heavy workloads to complete? High-end processors with limited hardware capabilities ticking you off? AMD has the answer! 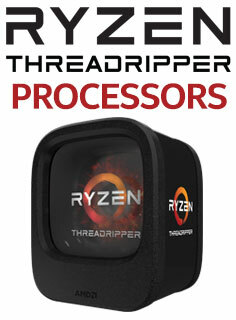 Featuring processors with up to 16 cores and 32 threads, AMD Ryzen Threadripper CPUs are designed to quench all your computing needs. 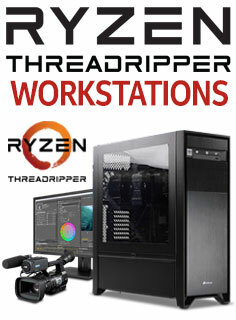 Any PC powered by Ryzen Threadripper processors enjoys truly superior performance and raw compute power, at a fraction of the cost! So, you’re not only buying the most cost-efficient – you’re buying the best! Boasting a whopping 64 PCIe lanes support across the lineup, in conjunction with quad-channel DDR4 memory support to handle up to 1 TB of RAM, Threadripper allows content creators and professionals to go full tilt! Stop limiting yourself to processors with limited hardware support. Rip the competition to threads! Pair it with a powerful GPU, play the latest games in 4K, and immerse yourself in an unbeatable buttery-smooth gaming experience. That’s not all! Your PC will no longer go into a deadlock when handling intensive tasks. 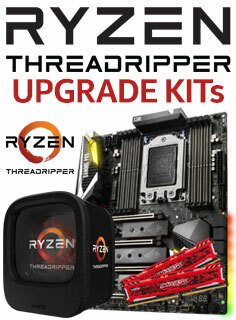 With AMD RYZEN Threadripper, kiss limitations goodbye and enjoy megatasking to the fullest. Juggle multiple intensive tasks with ease – go ahead, stop waiting, continue working or playing, and zoom ahead. Join hands with Evetech and AMD, and be part of the Ryzen processor revolution. 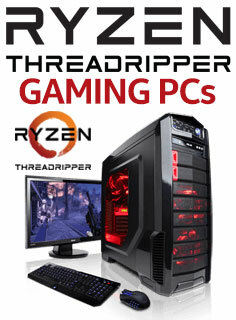 Bring home an AMD RYZEN Threadripper today – experience overwhelming power and endless possibilities!